This "Historically Speaking" column appeared in the Exeter News-Letter on Friday, November 8, 2013. 1924 was the year radio sales exploded. Commercial broadcasting had begun a few years earlier, but few people owned receivers. In Exeter, only William Folsom and Frank Cilley had sets in 1922. Radio broadcasting, although still in its infancy, had received a boost in 1924 after the November presidential election when it was widely reported that Calvin Coolidge listened to the returns on the radio. Coolidge, then as now, was not particularly known for being an early adopter of technology, but apparently he embraced the 1920s version of the information superhighway. Even though the economy was in a rut in New England, suddenly everyone wanted a radio. 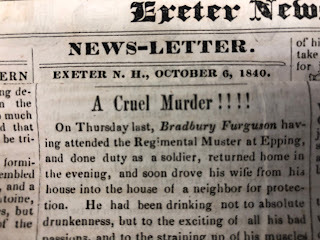 If you did buy yourself a combination victrola/radio or even just a radio cabinet, which could be purchased in Exeter at Ralph Meras Company, the radio itself could be picked up at either McIntyre’s Radio Shop in Portsmouth or at D.C. Higgins in Exeter. Both establishments offered Magnavox, Freed-Eisemann, Radiola or Crosley equipment. But even when the radio was installed and warmed up, broadcasts were pretty slim. Olive recalls that in Exeter they listened to stations from New York, not New Hampshire. Listings from the Portsmouth Herald back this up – in October of 1924 there were only three stations available: KYW from Chicago, WBZ from Boston and KOKA in Pittsburg. Programming was heavy on obvious things, like music and news, but also included a bedtime story at 7:30 for kids and Edna Goodman: “Her experiences in canning.” There was slightly more programming on weekends. According to the New Hampshire Association of Broadcasters, the first radio station licensed by the FCC was WEAQ, which broadcast from Berlin in the Summer of 1922. There was really nothing available for the seacoast until WHEB took to the air in 1932 out of Portsmouth. Originally licensed as a daytime only station, WHEB could only broadcast until 8:30pm. The station, due to its location near the Portsmouth Naval Shipyard, reported on a number of maritime disasters in its early years – most notably the 1939 sinking of the submarine Squalus. National reports of the recovery efforts came directly from WHEB. Exeter itself finally got a radio station in 1966. Created by Concord radio manager, Frank Estes, the NHAB says, “WKXR’s creation was a fluke. FCC policy prevented stations sharing a frequency if their signals overlapped. Estes realized the Exeter area was unserved by a local station, so he proposed a 1,000 watt daytime station at 1540kc. 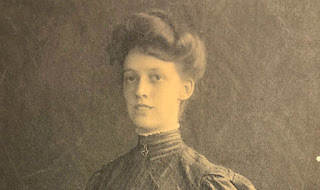 He convinced the Commission to grant a waiver to the rule ‘because the area of overlap was over salt water,’ namely the Atlantic Ocean.” Exeter got her radio station. The following year, Phillips Exeter Academy was licensed with a small FM station to serve the student body. WKXR broadcast out of a small location on Downing Court, covering local events including the annual Exeter town meeting. It remained a local station broadcasting on both AM and FM frequencies from 1972 until it was split into two separate stations, WERZ FM 107.1 and WXEX AM 1540 in 1982. Today, only the AM station is still broadcast from Exeter -WERZ is now licensed in Exeter, but broadcasts from Portsmouth. And for radio in Exeter, that’s the way it was. 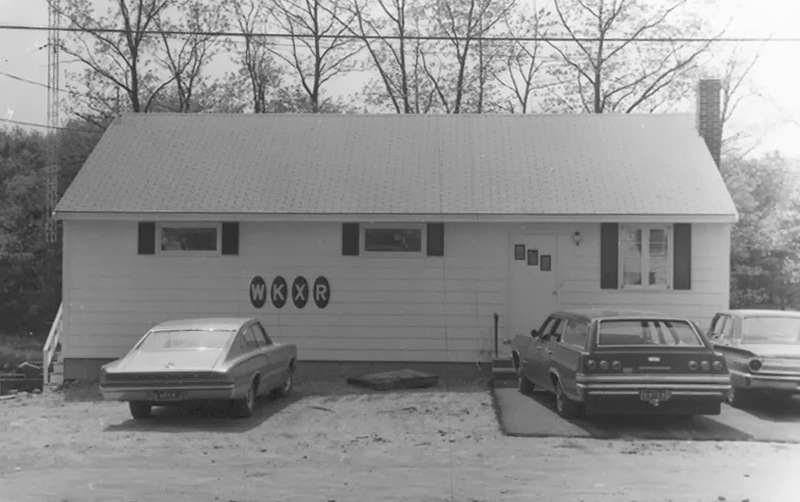 Photo caption: The unassuming broadcast headquarters of WKXR in Exeter on Downing Court. The station began broadcasting in 1966. Great post. Speaking of Portsmouth, if you're interested in learning more about a great video production company in Portsmouth I would definitely suggest taking a look at Maverick Productions. Great company!